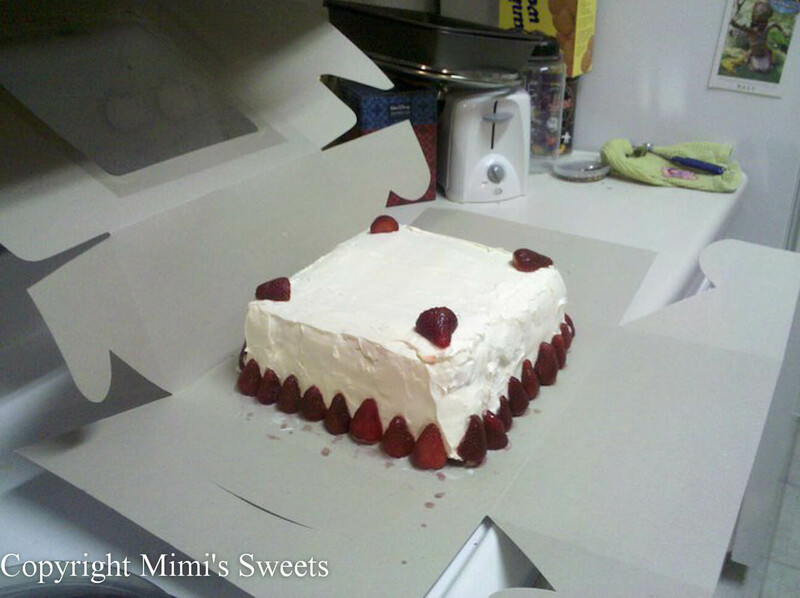 The picture above, is the very first ice cream cake I ever made. I made it as a surprise for my husband's birthday last April. In all respects, it was an experiment. Thankfully, I've had enough experience through the years baking and creating with my mom that most of my experiments turn out pretty well... including this one. It's three layers: Strawberry Ice Cream sandwiched in between two different kinds of Vanilla Ice Cream, with Strawberry Preserves and crumbled Vanilla Wafers on either side. For this one, I used actual frosting (which gave me a run for my money). I found that I had to layer the frosting much thicker for it to stay on. Otherwise, it wanted to slide off the sides. 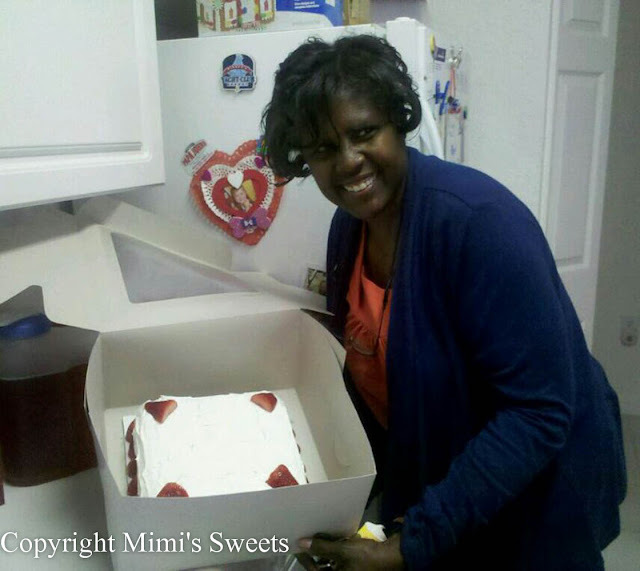 Overall, it was a really fun first experience, my husband was pleasantly surprised, and his stomach was happy! Since it turned out so well, two weeks later, my best friend asked me to make an almost identical one for her mother, who was coming into town for her birthday. They didn't want nearly as much ice cream cake, and they aren't fans of frosting, so I modified it into a two-layer and used Cool Whip instead of the frosting. Besides cutting production time, I found that using the Cool Whip made my life so much easier! It's also less "in your face" sweet than the frosting is, which can be good depending on your taste.